Pharmacy Benefit Managers expert witness (also known as PBM expert witness) must comprehend that Drug Prices are complex. First some introductory concepts then citations to details. 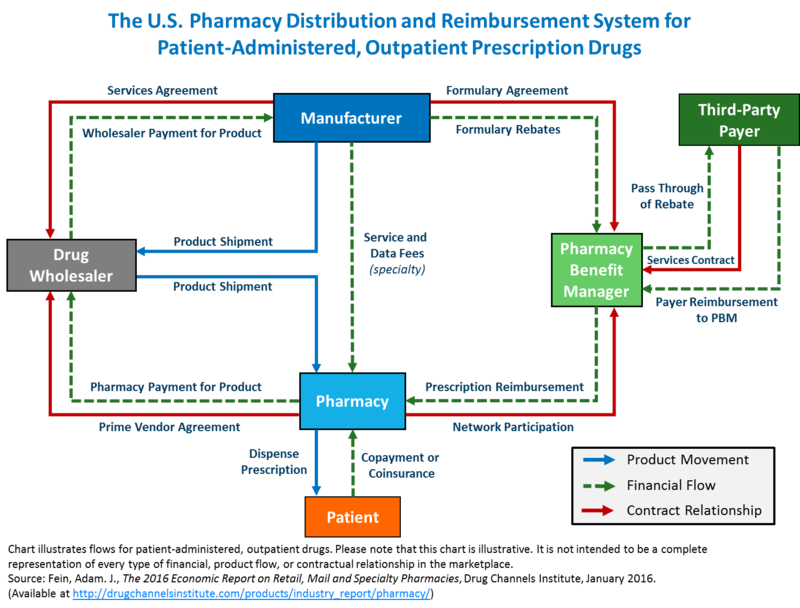 Pharmacy Benefit Managers (PBMs) evolved over a few decades in the drug prices business and intersect the flow of physical drugs, flow of funds, and medical necessity determinations for health plans. II. Drugs are categorized by over 10 different classification systems, however the National Drug Code (NDC) (see National Drug Code Directory), the Generic Product Identifier (GPI) (see Medi-Span® Generic Product Identifier (GPI)), and RxNorm used extensively for electronic prescribing are important standards. 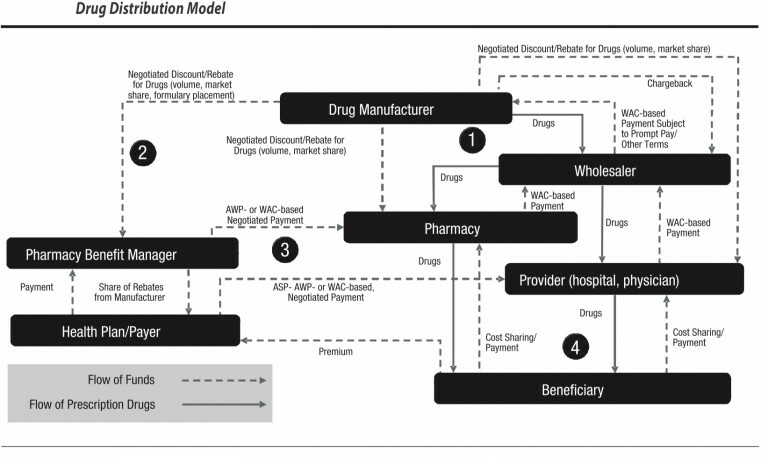 (See http://noworldborders.com/2018/0…), (see also RxNorm Overview) Pharmacy benefit managers use one of these standards. See other posts on this web site. III. There are three concepts that are important to understand in pharmaceutical / drug pricing. The first is the flow of physical drugs. The second is flow of funds. the third is eligibility determination for coverage of drug costs by insurance. Pharmacy Benefit Managers are central in this process in many cases. PBMs collect payments from health plans and receive share of rebates from manufacturers are issued back to the health plan. PMBs manage a complex task in the drug supply and beneficiary reimbursement segment of health care. Drug prices are set by a complex set of methods, contractual understandings as well as market customary charges and reimbursement. Pharmacy Benefit Manager experts must understand the flow of funds. The Drug manufacturers issue negotiated discounts and rebates for drugs based on volume, market share, formulary placement). PBMs issue contracts to health plans, generally pricing their coverage for drugs at WAC. WAC can be used correctly or it can be manipulated, based for example on last in first out (LIFO) or first in first out (FIFO) pricing. The purchase / payment lots can vary from a small volume of drugs at high price point, or the same drug purchased in high volume at a lower price point. If Pharmacy Benefit Managers contract for a LIFO based WAC they can purchase in high volume at low price to decrease the price point, then purchase a small amount at high price and charge based on LIFO. This can yield artificially high profits. This is not to say that all PBMs operate in this manner, but the use of analytics combined with a detail knowledge of drug classification taxonomies is essential to determine if contractural arrangements are being met. Pharmacy Benefit Managers are integral to this process and can be audited using complete NDC codes.